This post may contain affiliate links. Find my affiliate disclosure here. There is NEVER a good reason to be unhealthy. It might take some extra time and effort, but believe me when I say that it's worth it! By continuing my family's healthy lifestyle while we're traveling we stay energized, our immune systems function optimally, we still sleep well, and we feel good! I'm currently in NY to visit my sister and her family. We were born in and grew up in California, but she moved to NY a couple years ago. While I miss her lots, it's fun to be able to travel to NY to visit her. I want all the ways to keep my family healthy. please send them to me! Apps - There are apps which make finding local healthy food easy. The first app is Fooducate. The thing I love the most is that you can scan packaged foods and it gives it a grade. For the foods that receive an 'F', the app also suggests better options! "Fooducate teaches you to eat for health...Scan to discover things manufacturers don't want you to notice." The next app is 'Find me Gluten Free'. While most restaurants have jumped on the GF band wagon, this app is great just to make sure there are some gluten free options near you. Yelp is another app, and I tend to rely heavily on this one! You can just plug in your own search words like 'organic' or 'grass fed' or 'farm to table'. The thing that is a little hard about it is that it's hit or miss. An awesome feature is that sometimes there's a coupon available through Yelp. Look up restaurants - Use good ole Google! Search for phrases like 'gluten free restaurants in XYZ, NY' or dairy free or organic. Whatever your criteria may be. When I use google, I also bring up the menu to make sure there are dishes there I'd eat that won't break the bank. I also have to make sure they have food my 5 year old will eat (kids can be so picky!). Hotel with fridge - If I'm staying in a hotel, I try to make sure there's a mini refrigerator in the room. When you have a fridge in your hotel room, you can keep produce in their and leftovers or salads. We use these foods to munch on first thing while we're getting ready for the day and also to take with us as snacks. Snacks - Normally, I don't think snacks throughout the day are necessary. If you're eating the right foods at each meal, you shouldn't be hungry in between. Read my post here where I share how snacking can actually create really bad habits for our kids. That being said, I feel like being on vacation makes me hungrier! Maybe it's because we're always on the go. Not to mention, that flights can cut thru a usual mealtime and the food on airplanes is scary! So I have healthy snacks available! Here’s a list I put together of sugar free snacks! Here a couple basic snacks I have with me when I travel...RawRev Glo bars (this one or this one), gluten free pretzels (like this one), organic baby carrots, or a sliced organic apple. Please send me 10 more tips to keep my family healthy! Amazon - I think I'm slightly obsessed with Amazon - in a good way. Because I'm visiting my sister it's so easy for me to ship healthy snacks and some of our staples to my sister. You can also do this if you're staying in an AirBNB or VRBO (check with the owner and ask for address). This will actually save you money as well. I ship things like organic sweet potato crackers, monk fruit sweetener, protein bars, plaintain chips, and other healthy non-perishable food items. We also hit the grocery store as soon as we can to buy organic produce, organic unsweetened almond milk, and pasture raised eggs and meat. If your hotel has a fridge, you can buy most of this stuff as well. MyYogaWorks is a website that you'll be able to access from your phone or laptop so that you can easily exercise at home or in a hotel room. I use MyYogaWorks a couple of times a week while at home. It's also so easy and cost effective to use while traveling! Find out before hand if the hotel you'll be staying at has a gym. Even if it's a small gym, you can still get a good workout in! YouTube it! You can find a workout video in whatever type of exercise you enjoy doing on YouTube. Supplements are always necessary! Our soil is lacking in essential vitamins and minerals which means that our food is lacking in essential vitamins and minerals. Not all supplements are created equal. All of your supplements should be from real food. You'll know it's from real food when real food is listed on the ingredients (ie alfalfa sprouts, acerola cherries, spirulina). If words like ascorbic acid, isolate, or tocopherol or on your vitamins ingredients list - it's most likely synthetic. I consider a multivitamin made from real food the first necessary supplement. Check out my resources page for some supplements my family uses and I recommend. I also add lots of real Vitamin C to our diet. When I say real Vitamin C, I mean not ascorbic acid. Ascorbic acid is usually synthetic and is not whole vitamin C. Real Vitamin C will be from food like acerola cherries. Vitamin C is known to boost our immune system, but to find out just how important Vitamin C is to our overall health read my post here. I use this Vitamin C and my daughter loves this one. Essential oils are an essential part of my family's health. I've been using them for years, love them, continue to learn about them, and will never be without them again! We've done a pretty good job at reducing the amount of toxins in our home by following some guidelines I posted here, but when we travel - we're surrounded by toxins! Most hotels, vacation rentals, and family members clean using toxic products. Most don't have house plants to absorb the toxic air that's created by paint and furniture fumes. A lot of synthetic fragrances are used in many places. All of this to say, take your essential oils with you so that they can help purify the air no matter where you are. You can literally diffuse essential oils no matter where you are! They have car diffusers, travel diffusers, USB diffusers, and small diffusers perfect for a hotel room. Want to learn more about essential oils? Get this short video I made all about the basics of safely and effectively using them. See! It's absolutely possible to keep up with your healthy lifestyle while away from home! This list may seem overwhelming, but start to plan ahead. Buy one supplement at a time, then buy a diffuser, then one essential oil, etc. Your body thanks you! 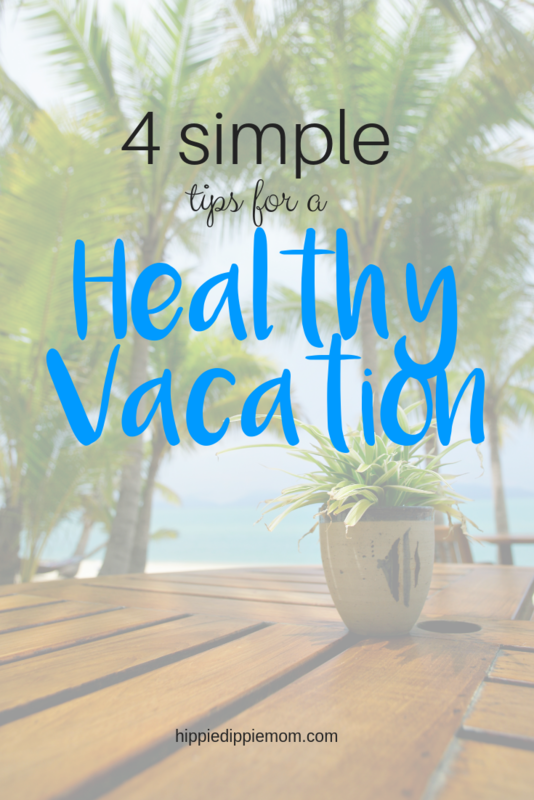 What do you do while traveling to stay healthy? Let me know in the comments! Follow me on Instagram here to see how I fit health into my daily life. Pin your fave image below! Hi! I’m Bri. 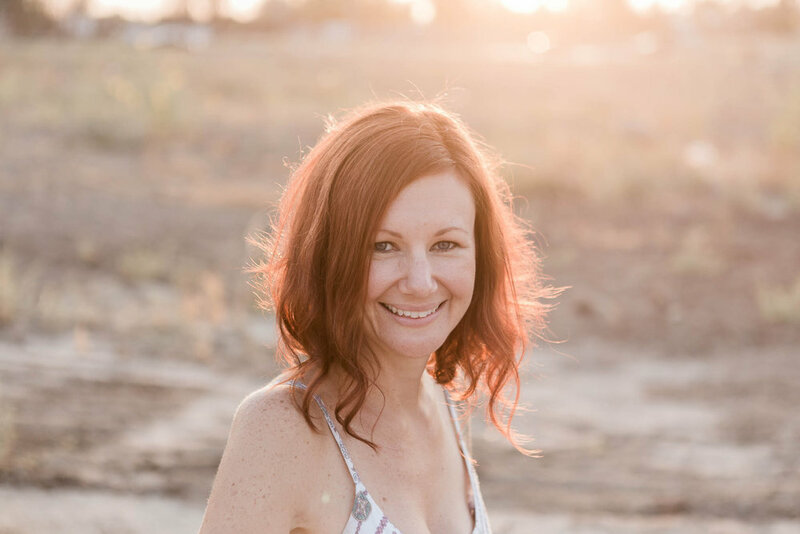 I’m here to help you bust brain fog, have energy and be the mom you crave to be. Read more about me here. schedule your free call with bri. bust thru brain fog now!